I SUPER LOVE MUSICAL! The experience watching the Magical Musical right in front my eyes is truly unforgettable. Now, here come another musical in town! Aladdin The Musical, I bet it going to bring us far far to the magical land of Askabar! Being a Disney freak of me, who always love some kind of living in a fantasy world, this is just going to hook me up! The West End Production just going to bring us to ride on a magic carpet to see a whole new world of the magical land of Askabar. Why I am so excited for this? 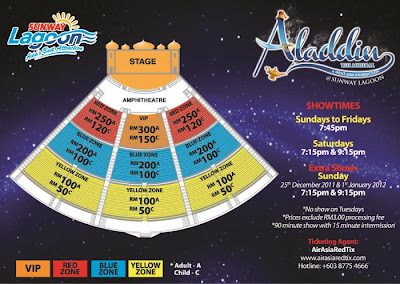 The Gala Premiere will be set on the 25th November at the Amphitheatre, Sunway Lagoon and just so you know that Aladdin The Musical will add a modern, musical twists to its stage play. Intergrating contemporary pop music with the classic storyline, Aladdin The Musical definitely a production that all walks of life will enjoy. Aladdin The Musical will be telling the tale of a boy's magical adventure from street rat to prince, when he is discovered to be "a diamond in the rough" by Jafar, the evil aide to the bubbly and lovable Sultan. With the help of a magic lamp and a jovial "rapping" Genie, Aladdin wrestles againts the odds to win the heart of Princess Jasmine while he ingeniously uses good to triumph over evil. I am so excited for what's Colby and David going to bring us to! In this musical, audience can expect to see familiar characters such as Aladdin, Princess Jasmine, The Sultan, Jafar, Slave of the Ring and of course The Genie of the Lamp himself. The six principal characters will be played by talents who hail from London's famous West End. They will be joined by an international ensemble cast of dancers, fire eaters and stilt-walkers. 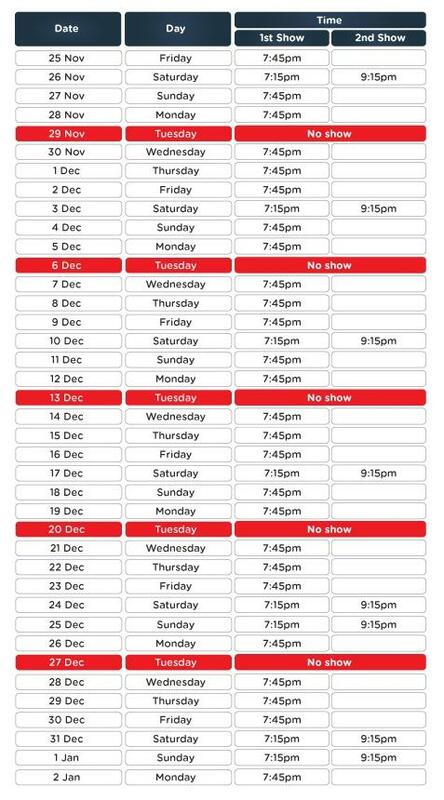 The musical will show once a day, from Sunday to Friday at 8pm and there will be no shows on Tuesdays, and twice on Saturdays at 7.15pm and 9.15pm with extra shows on the 25th December 2011 (Sunday) and 1st January 2012 (Sunday) at 7.15pm and 9.15pm. 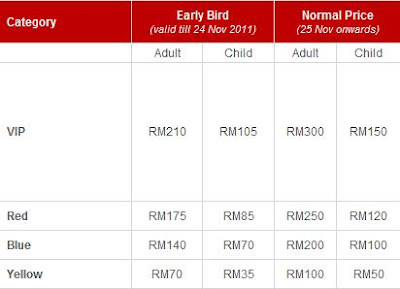 For more information, you can also contact Sunway Lagoon via their Facebook page as well as their Twitter.